It’s not me, it’s them. Right? Being a parent is probably the most challenging job out there. Next in line would be daycare worker. You see where I’m going with this. Toddlers are tyrants. I try to stay calm, cool, and collected. I read positive books to build my spirit up and get my soul feeling right again. Yet daily I’m run down emotionally by tiny tyrants. Sometimes I just accept that I can’t be that great at this parenting thing. I have to say “no” “stop” “go potty” “I said no” “5-4-3-2-1” too many times to count. I’m a teacher so I count “5-4-3-2-1” at least 30+ times a day. I teach 7th grade. Yes, the countdown is still effective on preteens and teens. Sometimes I think maybe I’m overly exhausted and my patience is so thin because I’m with kids all day long. Where are the other teacher moms out there…I’d love to hear your thoughts. For three years I’ve been wanting to fine tune my work/home life balance. Obviously, time management isn’t my thing. I try to give myself a break since I have two 3 year olds after all. I’ve started saying no to extra stuff at work. This helped a little, but I guess I did way more than I thought because I’m still over committed even with ditching a few responsibilities. When I get home from work it’s 2-3 hours of what I’ll call bedtime routine. Dinner, then tubs, maybe some playtime before tubs, but lately it’s been after tubs, and then boom it’s already past bedtime and I’m dealing with what feels like a drunk college roommate. Every time my toddlers are delirious from being tired I think of those memes that compare toddlers to drunk people. So very accurate. Sometimes it’s like I’m in the story “If You Give A Mouse A Cookie” though. They get 5 last sips of water, and sometimes they have to get up to potty because well, they had too much water before bed. Bribery works well with tiny tyrants. I bribe mine to do things like be nice to each other, cooperate, go potty, behave while out, etc. Their favorite bribes are fruit snacks, cake pops, and stickers. We just bought some baking sheets to make our own version of a cake pop so we can save some money and make it healthier. I don’t feel so bad bribing my twins, because when it comes to comparing them to other children I see out, mine are actually pretty well behaved. They save their most trying behaviors for when we are home. While I’m finishing up this post, Darling L while waiting for his snack tosses his napkin on the floor, followed by the drink coaster nearby. I ask him to stop and he keeps looking for something else he can toss. He’s tired. They don’t nap for us at home anymore unless it’s in the car. I get it, they’re 3 now. I wouldn’t want to nap either. I do want to nap, but you know how that goes when you are a parent. It’s a dream for your retirement days now. I have to keep telling myself, it isn’t me. It’s them. It’s their tyrant three year old ego. The countdown to four is on. Eight more months. Share you twin or toddler stories about behavior management with me. Give me your best advice for sure! Anyone who is amazing at time management, I’m always looking for a new personal development read. T At least they are super cute tyrants. And they can be really sweet. 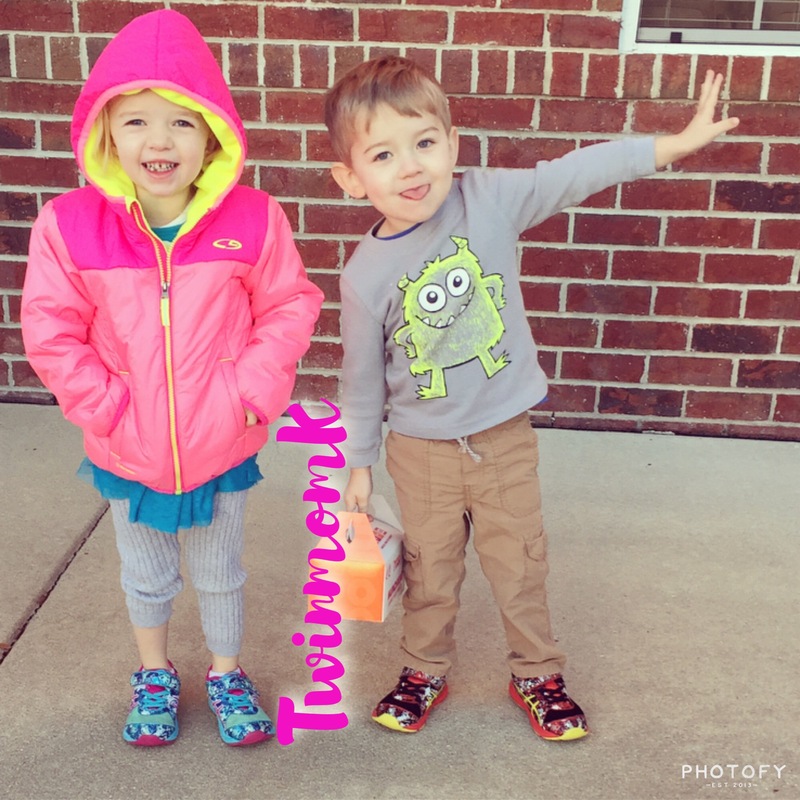 This entry was posted in Toddler Stage and tagged teacher mom, toddler twins, toddlers, Twins, working mom. Bookmark the permalink. 6 Responses to It’s not me, it’s them. Right? I can’t speak to the twin 3 year old thing but that picture is so cute!! Nice story! You sum up a life in the day with toddlers. When you reach retirement and have plenty of time for naps, you’ll look back on this time as one of life’s best experiences. It just doesn’t always feel like it when you’re exhausted. Well hello! So…yes, I understand this. With my 3.5 year old boy/girl twins and my almost 8 month old, I’m about to lose my mind on the daily. I don’t have success stories for you because it keeps getting worse and worse. Age 3 has been the hardest age by far with no improvement in sight. I could tell you a million stories but I don’t even know where to start, so I’ll just say, I feel you. I know this is an old post but it’s spot on. I have two toddlers under 4. It is them! But sometimes it’s me too! Haha No worries! I still monitor the blog. I just haven’t sat down to write it out in a long time. Mine turn 4 this month. It’s gets slightly easier, but yes sometimes it is indeed me too. 🙂 Thanks for the comment.